The first three steps are the same for each quest. After step 3 jump to the desired quest. · One spot it could be located is on the elevator that leads to Bowie Knife or the one right next to it and is accessible from the power room. · Another spot it could be is on the elevator near Remington 870 MCS. · Another spot it could be is either on top of the Quick Revive elevator or the other elevator next to Quick Revive, both elevators are adjacent to where the player builds the Trample Steam. · The last spot it could be is on the elevator in the corner on the roof near a Mystery Box spawn location is (referred by people as "No Man’s Land" or "Dead Man’s Corner"). All 4 players must step on them simultaneously. Care should be taken that the elevators do not kill the player if standing on them while they are near the top floor. Once done, Richtofen and Maxis will speak to the player. Match the gold symbols on the floor. · There is one by the M14. · One above the AK-74u. · One on the roof to the left of the Semtex Grenades. · The last is past the SVU-AS by the cafeteria. They are the same symbols as the elevator symbols. They must be lit up by stepping on them in sequential order. This order changes per game, so it is mostly guessing and trying different combinations. 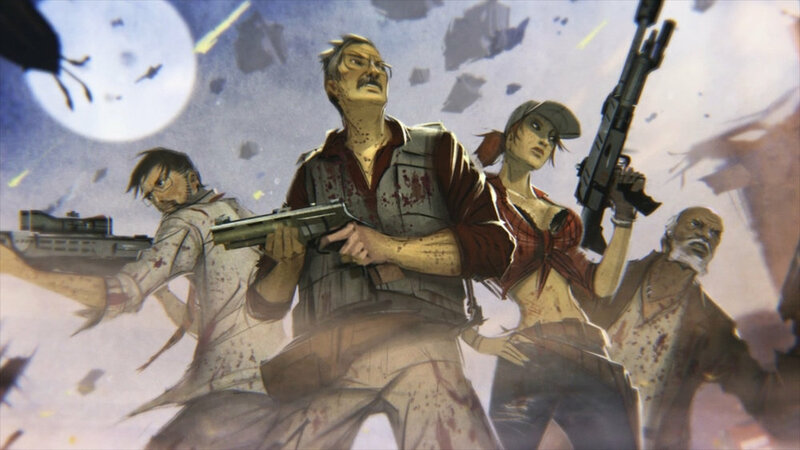 Once all four are lit up, Richtofen and Maxis will speak to the player. Acquire any sniper rifle and look into the dragons' mouths. There should be a small ball in each mouth (resembling the moon egg). If the player shoots both balls out of both dragons' mouths, they should teleport under the lions' paws in the starting room, adjacent to the Olympia. Do not take them to avoid glitches. The player who has acquired the Sliquifier needs to continuously shoot the balls until they begin to spin. This will take 20 direct shots on each ball, so it would be wise to save the Sliquifier's ammo prior to this occasion. Once both balls are spinning, Richtofen should tell the player to make a "blood sacrifice". Maxis is now locked out of the systems, allowing Richtofen to proceed. · One near the Semtex on the same roof. Each player will need to place a Trample Steam on the symbols so that they face the radio tower on the roof. Once all four have been placed down, allow zombies to be killed by the Trample Steams. At this point, the players MUST NOT pick up their Trample Steams or else Richtofen will give out a quote saying you failed this step and cannot progress anymore further, making restarting the game a necessity to do it again. There are Mahjong tiles of different colors and sizes located throughout the map. These tiles indicate the order in which you should melee the radio tower with the Galvaknuckles. Here are eight tiles, but there are 11 locations for the tiles to spawn. Each time you do this step, it changes order from game to game so it WILL NOT be the same each game. Four of the tiles have Chinese Mahjong symbols, which indicate a compass ordinal. The other four tiles are color coded with the directional tiles have indicate the order in which that particular post should be hit. Each compass point and dot tile is colored, and same colored are correlated. The colors are red, blue, green, and black. For example, if the player finds a green 'north' and green three dots, the north side of the tower is hit third. This order changes every match. This step can also be done by trial and error, but it makes it extremely longer time to complete this step. If you make a mistake, the radio tower will stop glowing and won't light back up until the start of the next round. The compass points of the tower do not change. The potential location of these tiles is as follows. · One corner of the tower will have the direction that corresponds with that corner. · In the Spawn room on the same desk the compressor for the tramplesteam sometimes spawns on. · At the bottom of the escalator near the M14. · On the broken stairs that lead to the SVU-AS from the spawn. · On the couch with 4 circular cushions near the initial Mystery Box Spawn. · On the last level of the elevator shaft that you can stand on above the AN-94. · The Buddha room (after the AN-94 room) on the top level at the back of the room to the right. · On a shelf, near the Sliquifier next to a soda can and a basket. · On a table with a sewing machine in the power room. · On a lawn chair near the Mystery Box spawn on the roof. · In the kitchen near the MP5. Once the order is determined, the player must melee the bars with the Galvaknuckles in that order. North Faces the Tramplesteam room and West faces the sun. Figuring out South and East are just opposites. The radio tower will have a surge of electricity hit it and lighting up blue, with all of the dragon's flares sparking, and the achievement/trophy will be unlocked. Kill zombies in the Buddha room, Maxis will say to the players, "Reincarnation will reveal its way forward" when the player has killed a satisfactory number of zombies. This will take 1-2 rounds. Anyone acquire the Ballistic Knife from the Mystery Box and pack a punch them into the Krauss Refribulator. Then the players must go back into the Buddha room and shoot the Krauss Refribulator anywhere in the room. The first shot should trigger the next maxis quote. If not the game is glitches and you must restart. Remove both balls from under the lion's paws. When the balls are picked up, there will be no indication that you have them or not; for example, if a player has it and they get down and they don't know if they still have it or not, the ball will spawn back at where it was before. (old glitch) Players playing as Stuhlinger and Russman CANNOT pick up the balls or else a glitch will occur. NOTE: The stuhlinger and russman glitch needs more testing! The players must now build the Trample Steam and place one on each of the four Lion symbols on the ground. The players must then drop the balls acquired earlier on top of the Trample Steam; the balls will bounce to each of the Trample Steams, get flung onto the Radio Tower, and an orange surge will go through the radio tower. As said at Step 5, the glitch will occur if both either Russman or Stuhlinger picks up the ball, and the game will not prompt the player to place the ball on the Trample Steams, even if you place the ball back at the lion's paw and allowing players playing as Misty and Marlton pick it up. After this is done, a player must now obtain the Galvaknuckles and go around the map looking for the Mahjong tiles, similarly to Richtofen's side. See Richtofen's side for help. Once a player has obtained the Galvaknuckles, they must then go to the radio tower, and after a short time, the four posts of the tower will be lit up. The player must then punch the tower in the order stated by the Mahjong tiles. Once the stands of the tower have been hit in the correct order, the radio tower will have a surge of electricity hit it, lighting up orange, with all of the dragon's flares sparking, and the achievement will be unlocked.